The environmentalists’ opposition to the Amulsar gold mining program is not a new thing. Signatures have been collected since 2010, open letters have been written, protests have been organized, articles have been written, negative opinions have been voiced during discussions, representatives of the scientific community have expressed their concerns. Moreover, in 2014, the grievance redress committees of the European Bank for Reconstruction and Development (EBRD) and the International Finance Corporation (IFC), which is part of the World Bank, received complaints from Gndevaz community as well as environmental organizations. In 2017, this organization published a report, which stated that the IFC did not conduct risk assessment during the initial investment approval and that a detailed environmental and social impact plan was needed. 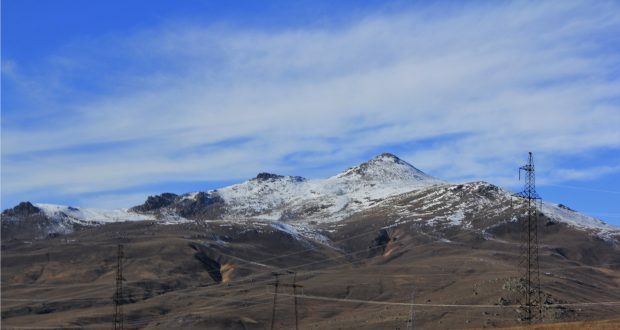 The IFC also noted that during impact assessments, the project impacts on the tourism of Jermuk resort town as well as on Gndevaz community were not fully assessed. In the initial period, in response to the grievance letter, the EBRD responded that it would not examine the grievance since the bank only financed the study phase of the mine, and when the study phase was over and the preparatory works of the exploitation started with the assistance of the same bank, the bank refused to communicate with the applicants. In parallel to these processes, there are several lawsuits in process, the oldest of which is the administrative lawsuit filed by the people of Gndevaz village, disputing the permits granted to “Lydian Armenia” (formerly Geoteam) which is going to exploit the mine. The proceedings were also submitted to the UN Economic Commission for Europe, as well as the Aarhus Convention Compliance Committee. The latter is investigating the issue of undertaking measures against Armenia for regular violation of the provisions of the Aarhus Convention. An online petition addressed to the government and international financing organizations has been launched since 2016, and more than 8,000 people have joined the petition. As a result of public pressure in 2016, Jermuk was finally recognized as a partially affected community in Lydian Armenia’s new social impact assessment. However, no public hearings were held in Jermuk, and the opinion of the Jermuk residents was not taken into consideration when granting the permit to the company. As a result, the requirements of the RA Law on Environmental Impact Assessment and Expertise” and the Aarhus Convention were violated. But this is not the only violation of the law. For many years, environmentalists, geologists and chemists have pointed out that Amulsar is located at a water catchment point where the mining project can threaten surface and ground waters, including Arpa and Vorotan rivers, by which Spandaryan and Kechut reservoirs are fed, and since Lake Sevan also feeds on Kechut reservoir, it can threaten Lake Sevan as well. Moreover, 4.68 million cubic meters of water flow under Amulsar through a water tunnel, which flows into the Kechut reservoir, and the tunnel is not even exploited. In other words, the waters form in the Amulsar subsoil, and as a result of mining activity, pollution of these waters will directly threaten Lake Sevan. Meanwhile, according to the “Law of the Republic of Armenia on Lake Sevan“, any activity that may damage the ecosystem of Lake Sevan is prohibited. And Kechut and Spandarian reservoirs, Arpa and Vorotan rivers are located in the water catchment basin of Lake Sevan. As a result of the mining activity, the cultural heritage existing at Amulsar is endangered, and the Land Code and the Code on Subsoil are being violated respectively. It should be noted that, according to the RA Historical-Cultural Research Center, there were dwelling sites, tombstones and a cemetery have been discovered in the Amulsar area. These values have been submitted to the Ministry of Culture for being granted the status of cultural monuments. And the Land Code states that any activity on lands containing historical and cultural values that contradicts their purpose and functional significance is prohibited. The RA Code on Subsoil also has limitations on the activities in areas where there are graves, natural, historic and cultural monuments. However, apart from these and other legal gaps, it is important to mention two other factors, which also have caused the opposition to the project implementation. These are the scientific community’s assessments of the environmental risks of the program and the circumstance of ignoring the economic prospects of the region, including the economic value of tourism and mineral waters. Local scientists who are familiar with the site and a group of international researchers who have explored Lydian’s documents related to the environmental impacts of the project have concluded that the company is underestimating the damages to water resources, and particularly the possibility of acid mine drainage. And acid drainage is a phenomenon that occurs when, subjected to contact with water and air, sulphides in the ore generate sulphuric acid, which acidifies the surface and ground waters. In the case of Amulsar, we mentioned that ground waters flow into rivers, reservoirs and reach Lake Sevan. Therefore, in case of acidification of these waters, the most important water resources in Armenia will suffer damage. Scientists point out that the company should have conducted more long-term studies to accurately assess these risks, including exploring not only the ore, but also all other rocks containing metals and sulphides, which, however, has not been done. Therefore, the release of pollutants is underestimated. Meanwhile, examples of acid mine drainages existing in Armenia and in the world show that not only large amounts of money but also hundreds of years are needed for cleaning the acids. However, there are other deficiencies in the studies conducted by the company, such as the circumstance that after obtaining gold with cyanide, the residual fluid will flow to Arpa river after being cleaned from cyanide, or will be used for irrigation of lands. Nevertheless, the company fails to mention that not only cyanide, but also a number of other metals (such as arsenic, lead, zinc, etc.) are present in the flow, which will not clean the substances that destroy cyanide. Thus, these metals will also appear in Arpa river or will penetrate into the soil due to irrigation since the company does not mention options for cleaning them. This also indicates that the EIA report submitted by the company and its annexes were not complete, reliable and scientifically justified, which violates the requirements of the RA EIA Law (Clause 4 of Part 2 of Article 5, and Clause 3 of Part 2 of Article 27). Recently, after the Amulsar visit by international experts, it became clear that Lydian Armenia has decided to take into consideration the concerns of scientists and think about ways to mitigate acid mine drainage. But that means they will be deviating from the EIA submitted by the company and approved in 2016. And according to the EIA Law (Article 21, clause 2), any change in impact management before extraction should be submitted to a new EIA and approved (or rejected) by the state. And the scientists have called risk management methods that Lydian seeks to apply unusual and unproven approaches that are not in line with international best practices. As for the impact of mining activities on the socio-economic life of communities, today communities already feel the negative impacts of the project, when the mine is not even exploited yet, and only construction works are being carried out. The amount of dust in Jermuk town has increased, the water pipes of Gndevaz village have been damaged several times, and the polluted water from the construction site has leaked to Arpa River as a result of the heavy rains, causing damages to the nearby fish farm. Moreover, even before mine exploitation has started, the company’s activity has already led to the reduction of tourist flows for health purposes, and the resulting economic damage has not been assessed in any way. In the case of blasting works, seismic motions due to operation of Amulsar mine, the rare mineral water sources of Jermuk will be endangered, which will have a negative impact on both the Jermuk mineral waters brand and the image of Jermuk as a resort town. However, neither the company nor the state bear responsibility for damages caused to the people of Jermuk and economic entities in the town. These damages have not been assessed in the Amulsar project and have not been publicly discussed in Jermuk. This deficiency is also mentioned in the IFC Ombudsman’s report. In the event of river pollution, no economic losses have been estimated for farmers using the Arpa River, including those engaged in wine making and making Armenia recognizable through Areni. Simple comparison of these and other long-term risks and costly losses with the amount of taxes to be paid during 10 years ($ 40-50 million per year) and the 700 jobs to be created during that period are proof of the inadmissibility of this harmful project that has pushed local population and environmentalists to fight for the salvation of Amulsar, Jermuk, Kechut, Gndevaz, and the most important water resources in Armenia.